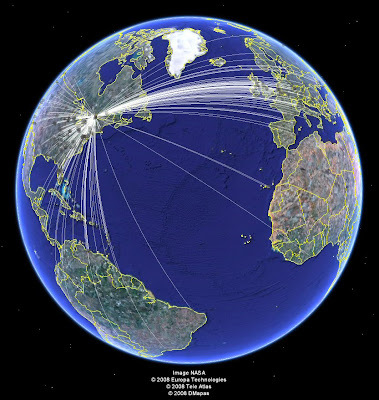 The image below was created using Google Earth in conjunction with Ham Radio Deluxe, it shows in a simple form the contacts I have made with my station over the past few months. A successful 2 way radio contact or "QSO" is a short exchange between 2 operators where each exchanges their Station Call, Name, Location and signal report. 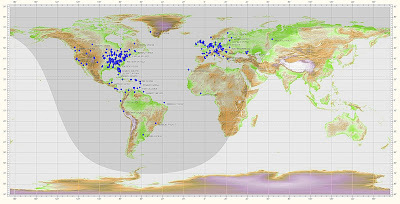 The image above shows aproximately 340 QSOs all made from my home in Ottawa Ontario. Countries to which I have established QSOs are listed below.